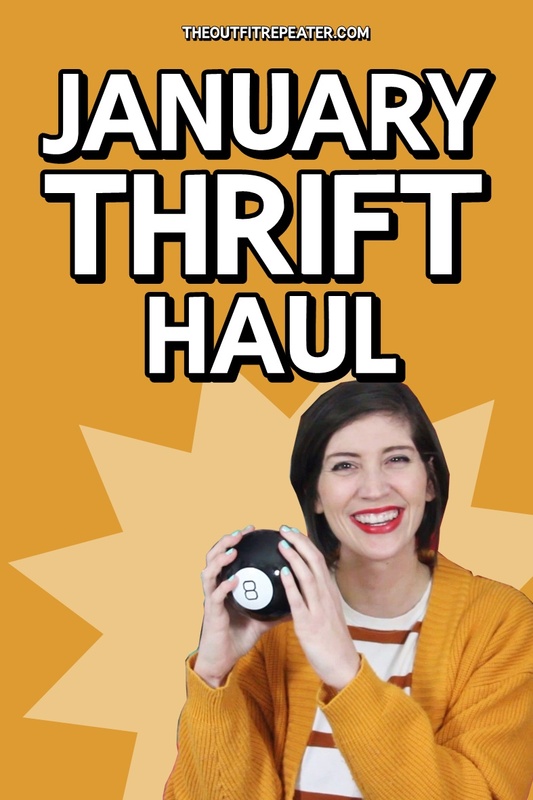 Based on my finds this month, I predict this will be a great year for thrift hauls! 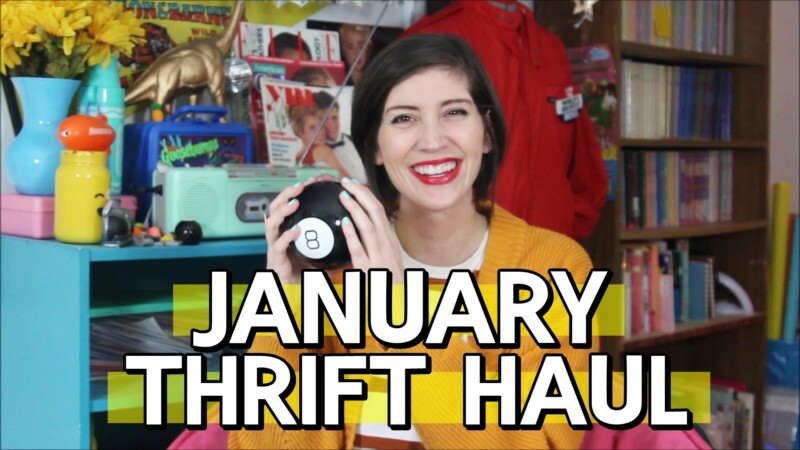 I know you’re just here for the magical monthly thrift haul video so I won’t leave too much introduction. Enjoy! Did you know? New Swap.com customers can click here get 20% off orders over $20. Here’s what I’m looking for as well as a quick explanation of what I say to convince my brain that I need it in my life. See more things I’m wishing for on Pinterest! Rainbow striped sweater. Going with the colorful theme of this months thrift haul, I want to continue to thrift color and what could be better than a rainbow striped sweater? Plus they’re filling up my fashion inspiration board on Pinterest so I need one stat! Crossbody laptop bag. I was fortunate to get a new laptop last fall but unfortunately it’s bigger than my old one and doesn’t fit in my cute laptop bag. So I’ve been low key searching for a replacement at the thrift store but haven’t had much luck. I’m putting it out there so now maybe I’ll find one!